Sorry I've been a bit away from my blog. It's been a crazy busy week personal and business wise. I love blogging and I surely cherish having you. 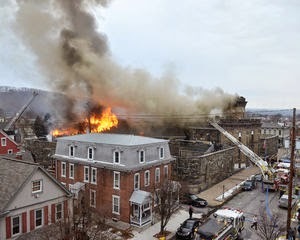 Yesterday my heart was aching when about 3:00PM I found out the prison were I have been giving Card-Classes was on fire. The building, which held 208 prisoners, was totally destroyed. I am very thankful that NOT ONE lost their life. God is so rich in mercies. Please pray for the staff, the commissioners, the city and the prisoners. It is a HUGE change for all and definitely my heart will miss going there. The whole story is here. I am trusting ALL things will work for good…even from the ashes, He can make beautiful things. 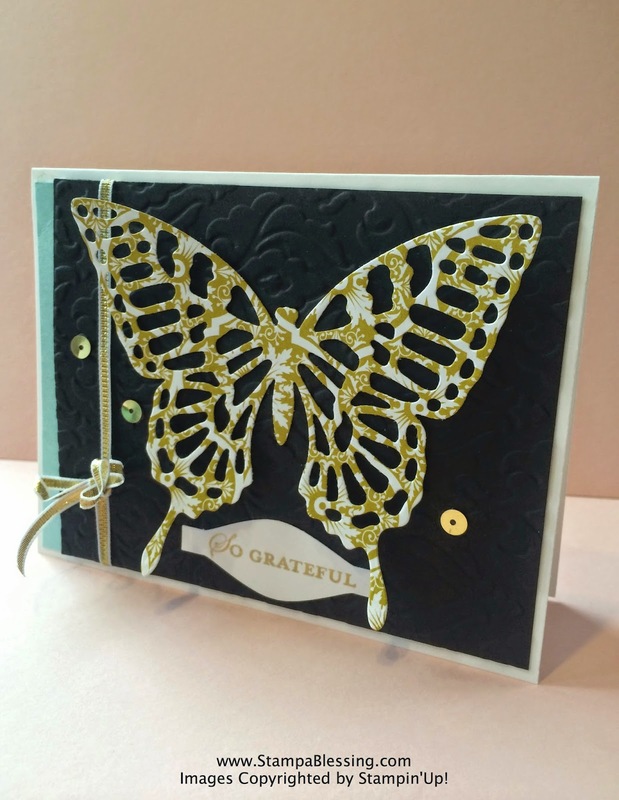 Simple card made with the new Butterflies Framelits. I used the New Bow Builder Punch to create a label for my sentiment. Is cute! Sentiment comes from Apothecary Art Stamp set. Always so classy. Beautifully Baroque Texture Embossing Folder used. Join me tomorrow for some needed time with Project Life at Public Library! Is free, your own pace, pages done. Contact me to give you more information. Il be there 12-4PM…even with my kiddos (they will bring their Paper Pumpkin plus read books). Here a sneak peak of my Blessed Stampers Team meeting this Sunday 9PM ET through Facebook. So excited…packets for Make n Takes where sent. Ladies are excited, I can't wait! 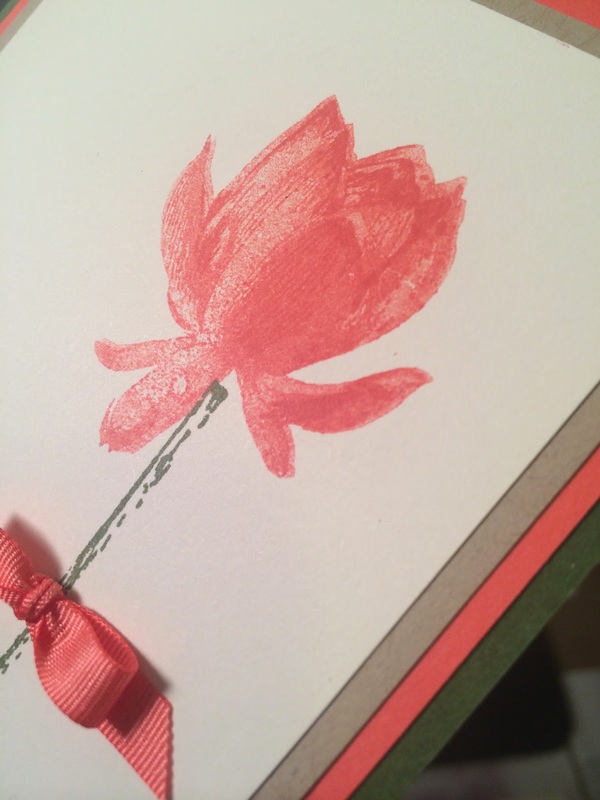 Precious Lotus Blossom…free with a $50 purchase! Lovely! Lots going on…God is good! Oooh, have you seen this week's Weekly Deals! I am so excited check it out! Visit my store here! 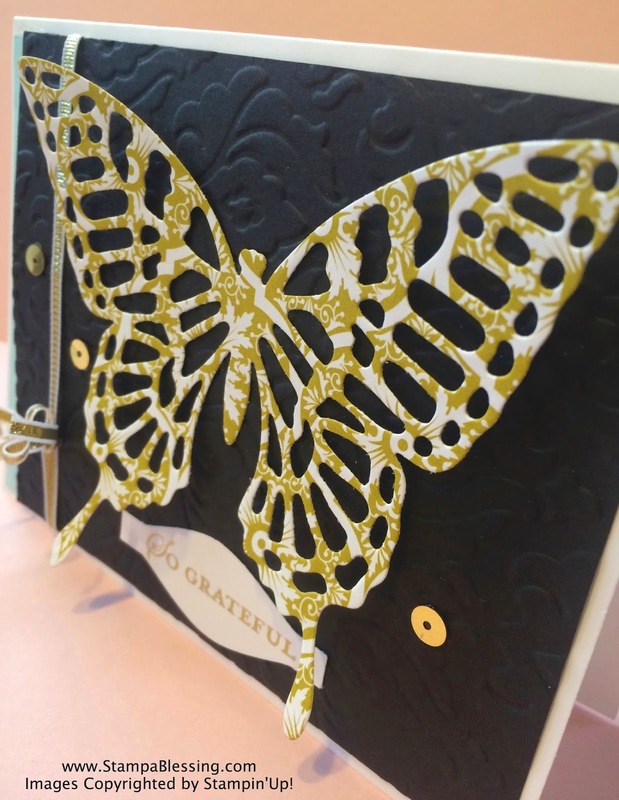 Come back tomorrow for more….creative blessings!